Hey everyone Kenadee and Alex here with some exciting news!!! N°21 Opened today and there are lots of goodies to be found from REIGN. and elska! •REIGN.- Oli Wedges.- These come in a high and low version fit to the slink mid feet and the belleza body aswell. Each individual color comes with a Metals Hud for the lows, and a metals and boot or strap option for the highs. Fatpacks and demos are available. elska Has several items for you this round including two collaboration projects! The Cat Lady Gacha Bags are so cute and come with a metals hud for each bag to change from silver, gold, or chrome metals. 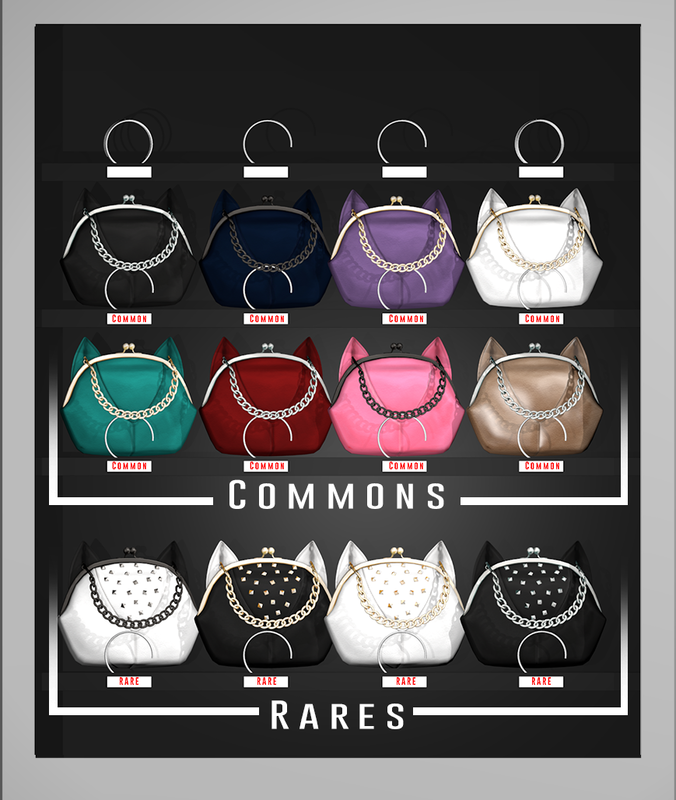 These adorable accessories are available in 8 commons and 4 rares! A collaboration with Quirky brings you two packs that each include a full body tattoo, four nail polish options, and a makeup! A fatpack is available. Lastly, elska has a new tattoo, ‘Shade’ that is full body, front and back, and compatible with all mesh parts (excluding the newest Belleza body).